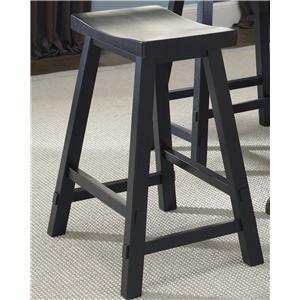 Add this handsome counter height stool to your counter for the perfect country chic look. 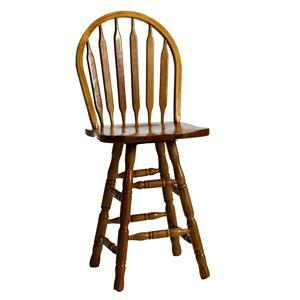 The spindle back has a thick spindle in the middle for a modern accent to this country, cottage styled stool. The plush seat cushions you perfectly as you dine in handsome style and rest your feet upon the bottom stretcher. 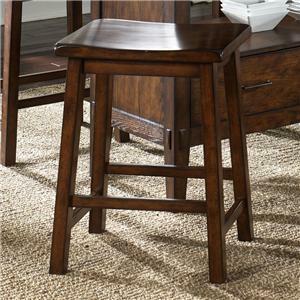 Relax in country style with this stool in your home for the perfect place to sit and dine. Available in counter height, bar height, or spectator height. 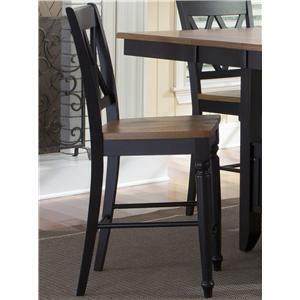 Customize the stool with your choice of finish for the steel frame, wood, and upholstery option for the memory return swivel seat. 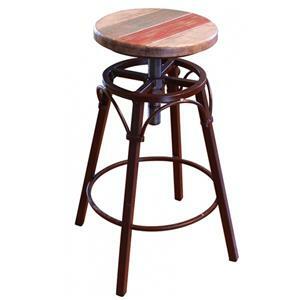 The stool is available in counter height, bar height, and spectator height. 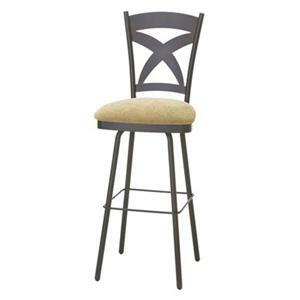 The Countryside Customizable 26" Madison Counter Height Swivel Stool with Spindle Back by Amisco at Dinette Depot in the Brookfield, Danbury, Newington, Hartford, Connecticut area. Product availability may vary. Contact us for the most current availability on this product. 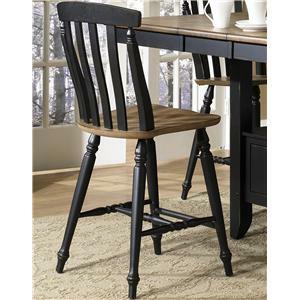 The Countryside collection is a great option if you are looking for Cottage furniture in the Brookfield, Danbury, Newington, Hartford, Connecticut area. Browse other items in the Countryside collection from Dinette Depot in the Brookfield, Danbury, Newington, Hartford, Connecticut area.